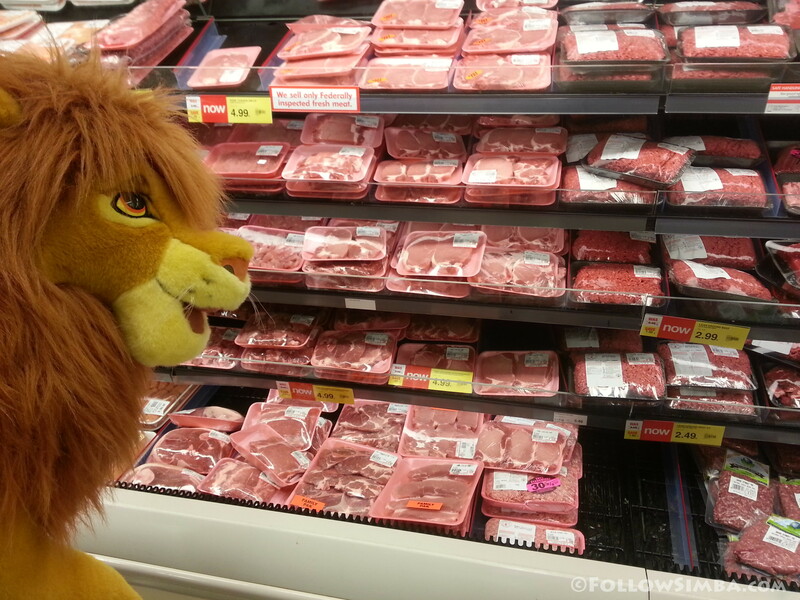 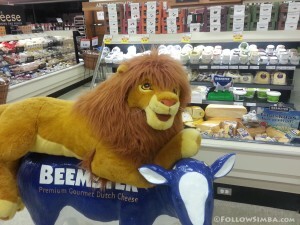 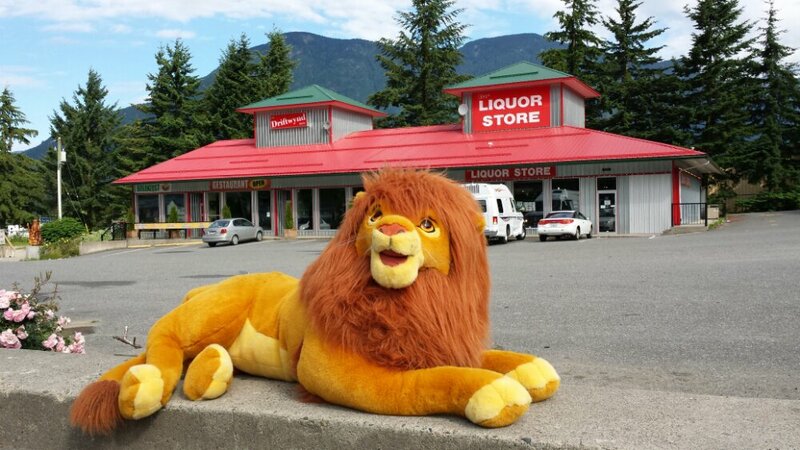 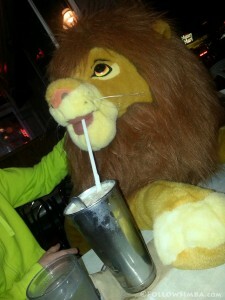 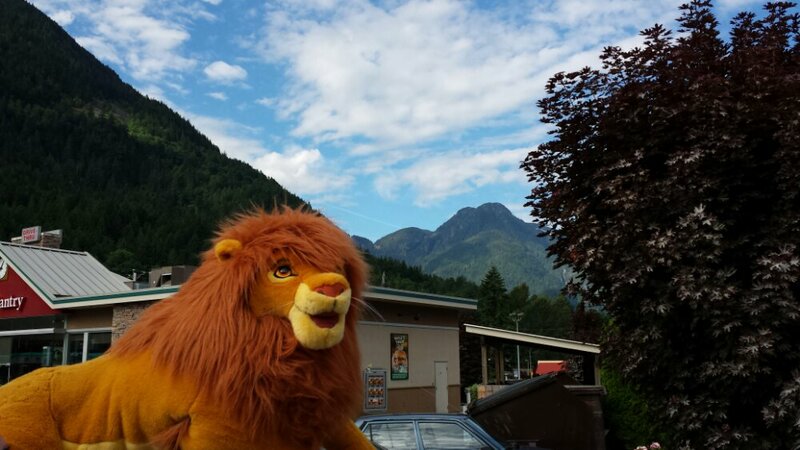 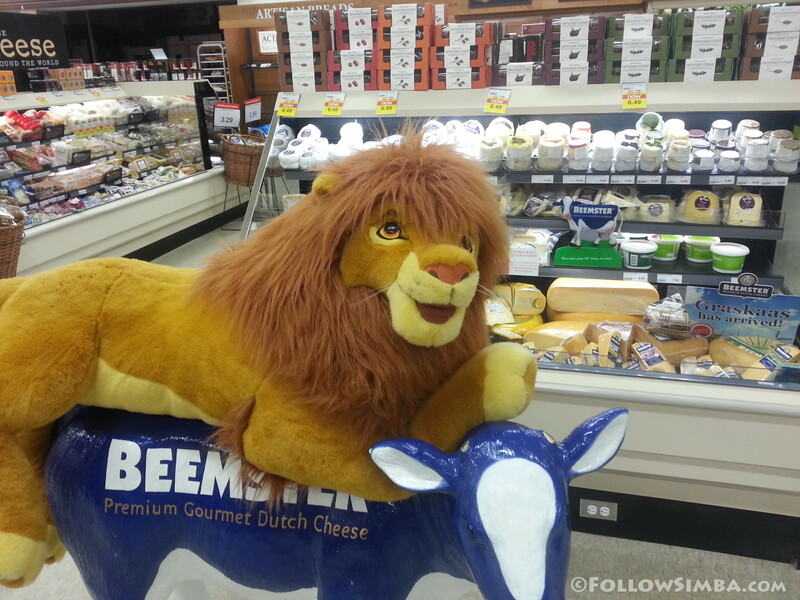 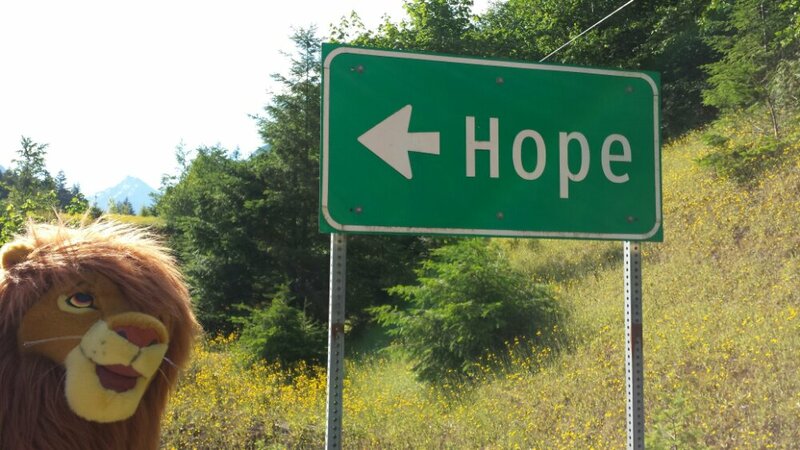 Simba patiently waiting for the liquor store to open in Hope. 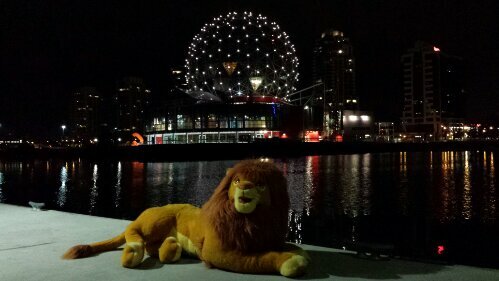 Simba lazing on the false creek public ferries dock enjoying the view of the Vancouver skyline. 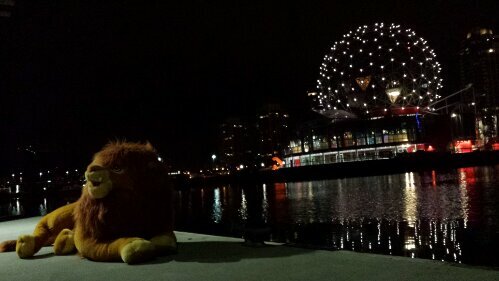 The lit globe in the background is Telus World of Science, a Science museum. 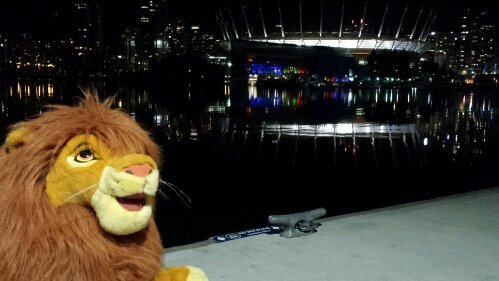 Simba with BC Place Stadium in the background. 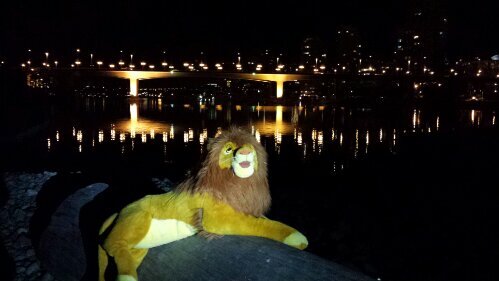 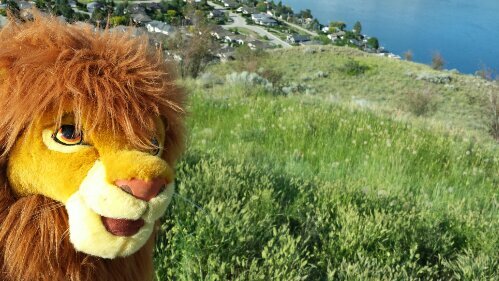 Simba relaxing on a log in the park with Cambie street bridge behind him. 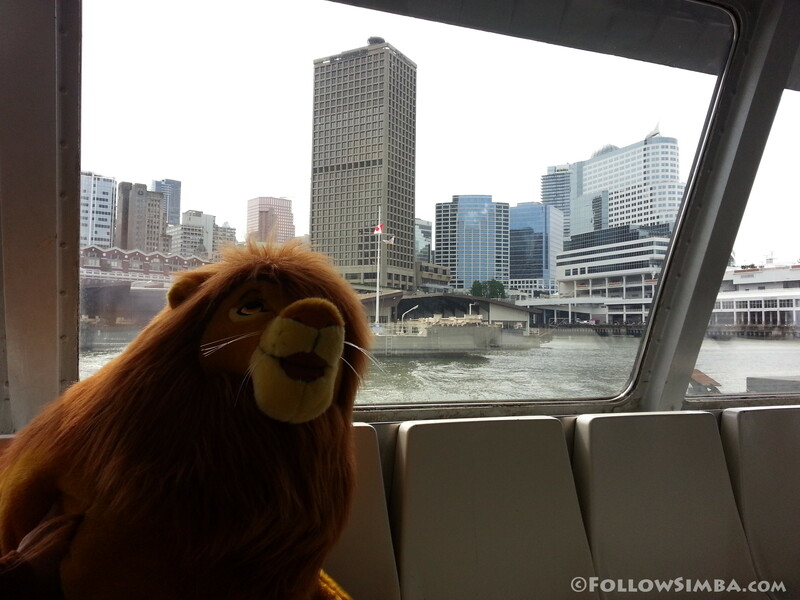 Simba on the Seabus with the Seabus terminal and Vancouver skyline in the background. 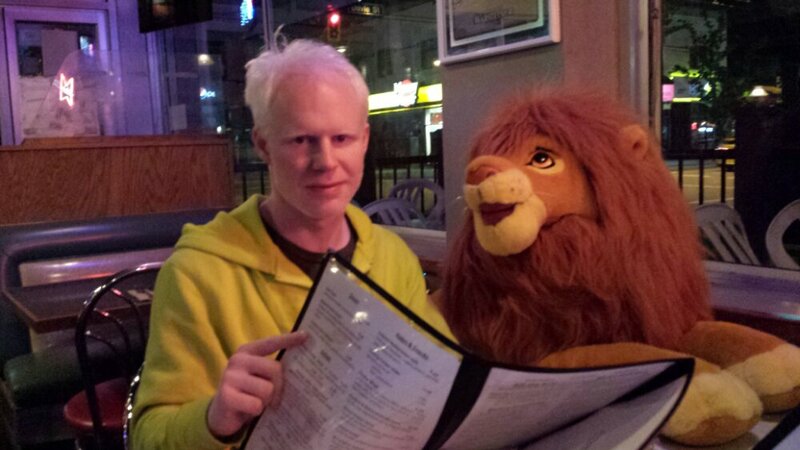 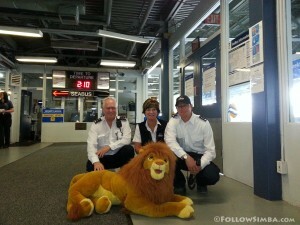 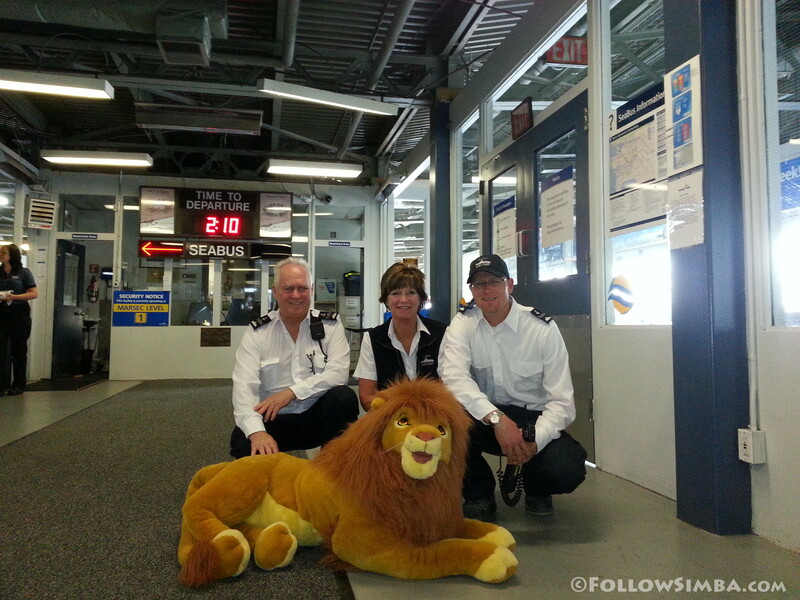 Simba meeting and making friends with Seabus staff at North Vancouver’s Seabus terminal.